Over the last 5 years, I have learned everything I know about plants from experience, trial and error, with lots of error in there-ha! When we bought the nursery, I had no background in botany, plants, or anything living really (except humans—I was in health care). One thing that I’ve learned over the course of the 5 years is I love to garden and zinnias is one of my favorite things to plant. 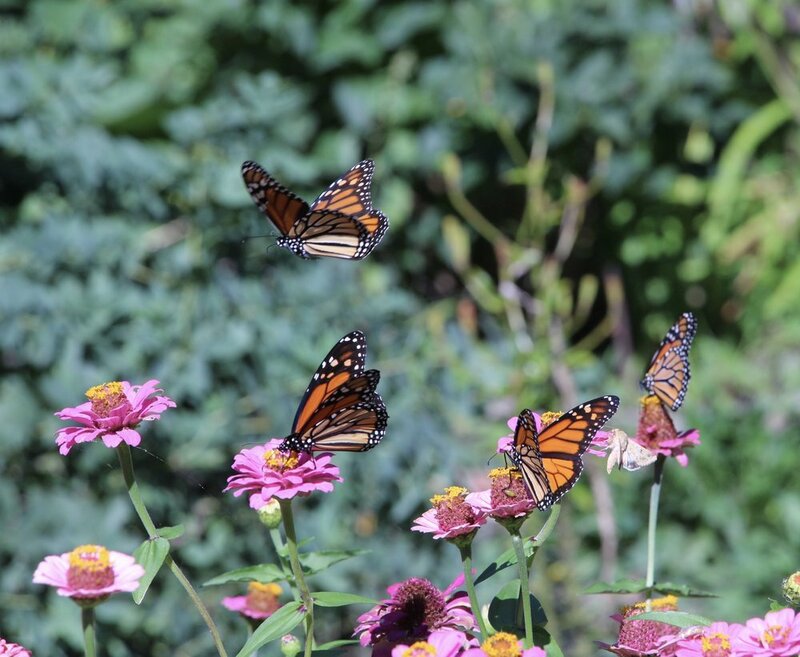 They bring a lot of butterflies to our yard and you can enjoy the blooms all season long. Plus, they make a beautiful cut flower. Currently, we don’t sell seeds here at the nursery, but I have learned how to plant zinnias, grow them, and then harvest their seed heads for replanting the following spring. Kristina Hand of Spruce Ave Flowers taught me how simple and easy it is to save the zinnia seeds. It’s always a great winter day project to separate all of the seeds and bag them up so they are ready to plant as soon as the ground thaws. This year, I decided to bag up my extra seeds and offer them to a few of you! Do you save seeds? Tell me about your experiences!